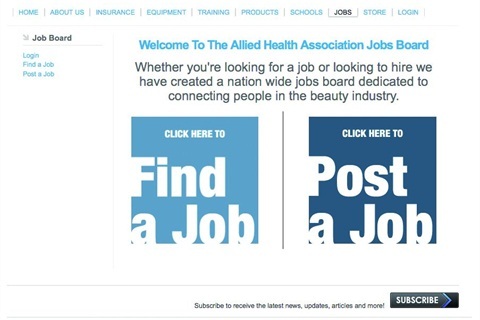 The Allied Health Association has launched a free beauty industry job board dedicated to providing information about job openings nationwide. The Allied Health Association has launched a free beauty industry job board dedicated to providing information about job openings nationwide. All posts are reviewed before going live to ensure that only spa and salon industry-related jobs will be posted; no spam, and no junk e-mails. Go to www.alliedhealth.net and click on the jobs tab.